A very interesting book today - which I'm sure will be both interesting and invaluable to anyone who has ever had a book published on Amazon! 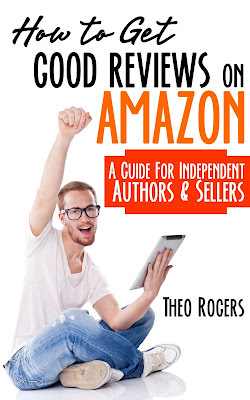 How To Get Good Reviews On Amazon is a simple, no-nonsense guide that teaches exactly what it says it does. Based on both psychological science and thousands of hours of conversation with some of Amazon’s top reviewers, it takes you behind the scenes into the reviewing subculture that has grown up on Amazon’s website. It gives you a deep, insider’s knowledge of how the top reviewers think and operate. It not only shows you what to do: it takes you inside the reviewers’ heads so that you can see for yourself both how these techniques work and why they’re so effective. • A simple, four-part formula for writing emails that get your work reviewed. • Three things never to say when communicating with reviewers! 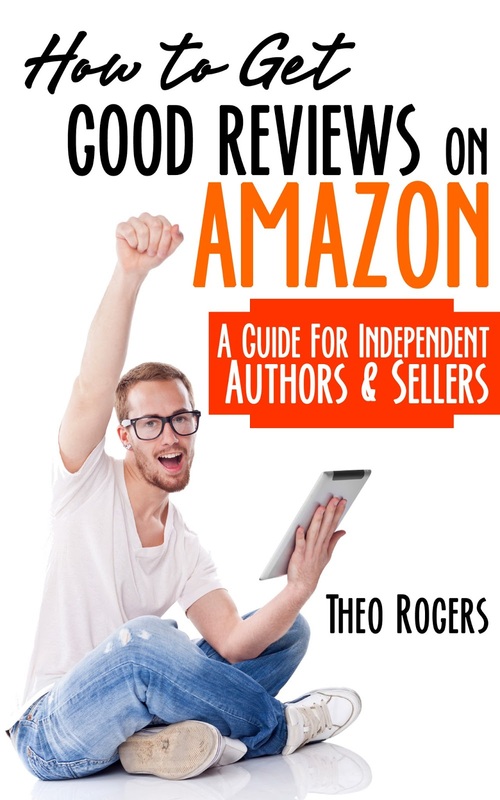 • How to pick reviewers who are more likely to give you a good review. • How to reduce the chance that a reviewer you contact will post a bad review – even if it turns out they don’t like your work! • How people get caught out when receiving reviews from friends and family. This book teaches an honest, straightforward approach that works. It works because it’s not based gimmicks or tricks but on a real understanding of how Amazon reviewers operate: most of all on what they expect from authors and other sellers. If you want to know how to talk to Amazon reviewers in a way that will make them respect you as a professional and see you as the kind of seller they actually want to help, this is the book for you. One of the most fundamental ideas in this booklet is that there’s a definite reviewing subculture that has grown up on Amazon’s website. Like any culture, it has its own particular values and mores: its own ideas about what’s right and what’s wrong. When we come to the issue of shill reviews, we collide headlong with the values of the reviewing culture. As you might expect, most reviewers see shills – and the sellers who use them – as very, very wrong. Because this section is all about values, I think it’s important to stress that I’m writing here as your guide to Amazon’s reviewing subculture. I’m not writing as a missionary on its behalf. Simply put, I believe that your journey through the Amazon Jungle will be smoother, easier, and more successful if along the way you’re respectful of the values of the natives who dwell there. For that reason, I’m going to lay out for you some of the more commonly held tenants: the basic beliefs that most of the natives would hold to. It’s not for me to tell you whether you should embrace these values to the core of your being and make them your own. I’m just telling you that as a matter of pure pragmatism, you are going to make trouble for yourself if you ignore them. Theo Rogers combines years of coalface experience on Amazon's website with formal training and qualifications in a range of business and social science disciplines. He's spent literally thousands of hours talking with Amazon reviewers, getting inside their heads, and learning what makes them tick. He's spent almost as many hours observing the carnage that so often takes place on Amazon's forums. In the process he's developed a deep insider's knowledge of the reviewing subculture that's grown up on Amazon's website. He's also seen a lot of authors and other would-be sellers make the same mistakes in their dealings with that subculture - over and over again. As a result of his experiences, Theo has come to believe that yes, there is a simple formula that works: a way of dealing with reviewers that's honest, powerful, and extremely effective at winning reviewers over, getting them on your side, and making them actually want to help you. The other stops can be found here - remember, the more you visit and enter, the better your chances of winning! I am so pleased to be able to feature this book today, as it actually pulls on my heartstrings on several levels - not least that I can relate to it myself having been through a similar experience when I lost my first husband, John, when he was just 35 years old, it was my horses and dog that saved me, and I can fully understand the comfort Michael's 'kitties' brought him.! 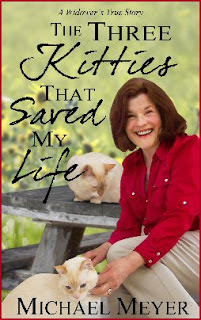 This looks like a truly worthwhile and touching book and I can't wait to read it! Both inspiring and entertaining, my story might just make you laugh at times, or bring a tear to your eye, as you journey along with me. My life with my cat, Coco, was good. We had a lot of fun together. 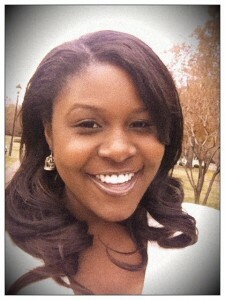 Every day was joyful. I never knew from one day to the next what type of trouble the little guy would get himself into. There was always something new to explore, a new pose to assume. But I still ached for close human contact. I wanted to be hugged. I wanted to be held in someone’s arms. I wanted to be loved, and to love, but I was scared and I also felt guilty feeling these thoughts, although I realized that they were all rational. I just could not force myself to take the first step in this direction. I would see couples holding hands, and I would be jealous. I would see couples embrace, and I would yearn for the same. I wanted to be with someone who cared for me, and I for her. However, the guilt at thinking such a thing, that I was somehow betraying the commitment that I had made to my deceased wife, still ate at me. I was scared—of both the future and of what the past had already done to me. No matter how hard I tried, I just could not shake the feeling that somehow I would be betraying Ciba if I sought love again. I knew I was not thinking logically, but logic really had nothing to do with any of it. I was a lost man, and I so desperately wanted to be found. But that first step was huge, and it was so painful to contemplate. “Tiny steps now, Mike,” I remember telling myself, but saying and doing are not the same. 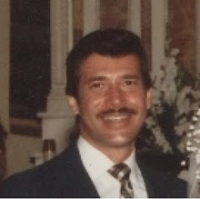 It was clear that my legal commitment to her, “to love and to cherish until death do us part,” had been fully met, but the powerful emotional attachment still clung to me. I wanted to get on with my own life, but I could not. Time had frozen for me, and I was its prisoner. I fought to move on, but I just could not. It was too painful. I spent huge chunks of my waking hours inside my head, trying to think things through. I listened to my sisters, and to my friends. My library of books and pamphlets on how to deal with losing one’s spouse kept growing. I read everything I could get my hands on, but nothing could help me to break away from my thoughts of guilt. I read and reread, several times over, my complete library on coping with grief. I practically memorized each work. I could have been a professional grief counselor since I knew so much by now. The things I read were wonderfully written, right to the heart. I cherished every word, but still nothing seemed to really provide the jolt that I required. That is until one day on the Internet, I stumbled upon a two-page response that a rabbi had written to a young woman who had posed the question, “How will I ever date again?” a year after the loss of her husband. For the first time since I had begun to scratch the urge to meet someone, the rabbi’s words had a profound impact on me, so profound, that after reading and rereading his words, after savoring every word, after thinking deeply about what he was saying, I was convinced that wanting to start dating was not only the right thing to do, but that it was exactly what my deceased wife would want me to do. Pow! I had been hit smack dab over the head with precisely what my own problem was. I had defined myself as a widower. I was a widower. Everyone I met, learned this. The word defined my very existence. And I was a widower, but that was not the whole me. I was also much more than that. I had forced my life into a box, and now it was time to climb out from that confinement. I would do so with love and dignity, never forgetting how my deceased wife had loved me and how I still loved her. I knew in my heart that she would want me to be happy. The rabbi’s words convinced me of that. I had no idea how to date. What would I say? How would I act? Where would I meet someone? 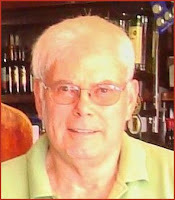 Mike Meyer recently retired from 40-year career as an English professor. He literally taught at universities throughout the world: Thailand, Saudi Arabia, the Virgin Islands, and he spent the last 24 years of his teaching career at a California community college. He lives in Southern California wine country with his wife, Kitty, and their two adorable rescue cats. 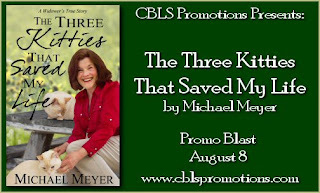 Contact Mike on Facebook at https://www.facebook.com/MichaelMeyersWritingLife. It's a great pleasure to welcome Science Fiction author H Peter Alesso to the Flight Deck today. Welcome, make yourself at home, help yourself to something sparkling served up by my pet android and tell me - what do you do for fun when not writing? HPA: I love to read, do word (or math) puzzles. I also develop computer program apps for Android. I like to work out both my left and right hemispheres of the brain using a wide variety of skill sets and abilities. HPA: I began writing fiction after reading Jack Campbell’s The Lost Fleet series. It inspired a story that I wanted to share. Midshipman Henry Gallant was the result. HL: Oh I think that will resonate with a lot of writers. It's more or less how I started myself. 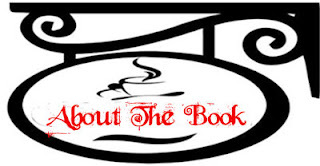 So what comes first: the plot or the characters? HPA: Characters! 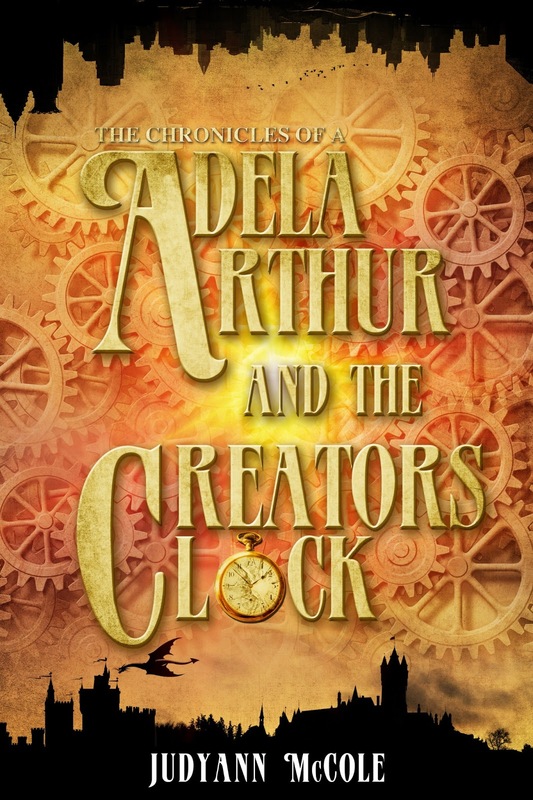 If you don’t have a character that you enjoy spending a great deal of time with you will find it difficult to write a long involved novel about them. 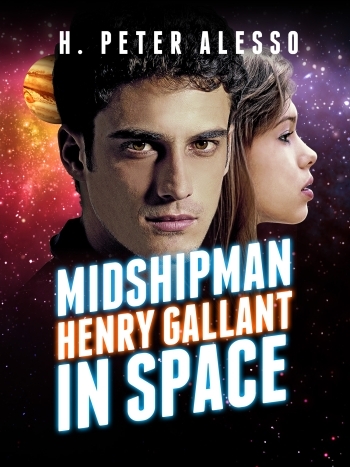 HPA: Midshipman Henry Gallant in Space is a military space opera with romance, adventure, and threatening aliens. It should provide a fun journey. Enjoy. I feel that science fiction should be based upon actual scientific principles. I researched the technology included in the story and tried to project their development path into the next century. Genetic engineering is current an important topic in our society and humanity faced difficult choices as it develops over the course of the next century. In Midshipman Henry Gallant, genetic engineering plays an influential role in the background but it is cast against another important innovation that also may prove a future threat: Artificial Intelligence. 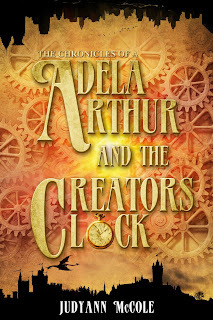 HL: It sounds a wonderful read. Is there any advice, as a new writer, that you were either given, or wish you had been given? 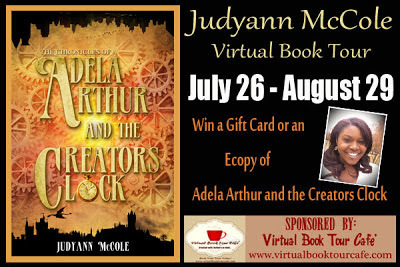 HPA: Find an author you admire and would like to emulate. Then examine just what it is that you find so compelling. It may be that you can develop similar skills with practice. Always remember that whatever criticism you get that any feedback, complimentary or critical, can be useful in learning more about a writer’s ability to improve and develop better skills. HL: Great advice. And finally, where can readers connect with you? As the last star fighter in squadron 111, Midshipman Henry Gallant is on his way from Jupiter to Mars. With the United Planets' fleet on the verge of annihilation, he can expect no help as he passes through the asteroid belt and threatening aliens. With so much uncertainty about the aliens' capabilities and intentions, analyzing the captured computer equipment in Gallant's possession could prove crucial. Unfortunately, it is his abilities that have been much in doubt during his tour of duty. In an era of genetic engineering, he is the only Natural (non-genetically enhanced) officer left in the fleet. Only bright and attractive junior officer Kelsey Mitchel has shown any sympathy for him. Now as his navigator on the last fighter in squadron 111, her life as well as a good many others, depends of Henry Gallant. Follow the tour here - the more you comment, the greater your chances of winning! She ran because she had no other choice. She feared what would happen if she dared to stop. There was no time to think. There was barely any time for her to breathe. On her broken ankle, she ran. With her bruised arms, she ran. With her bleeding sides, she ran because she knew today was the day she was meant to die. Her bare feet, covered with everything from wet dirt to dried, dead leaves to cold ice, took her farther into the forest. She jumped over the dark fallen log, not caring that the bottom of her pants snagged on the tip of it. She went on, running deeper, running faster, trying not to think. Thinking would stop her. Thinking would make her want to survive. Thinking would cause her to fight, and today she could not fight. She heard the screeches; she had seen their dark eyes. They were confirming what she already knew in her heart to be true. Today was the day she was meant to die. Snow fell gently on her like small glimpses of hope. She loved the snow. But even today it, too, was against her. It knew. It blanketed the ground and froze her to her core. She slowed, but she didn’t stop running. Slowing was a mistake, though. Now she could feel the fatigue as it crept up inside her. She could feel the pain as it came into her ankle like burning knives slicing away at her. As the screeches rang through the forest, they too chilled her. Whether she slowed or not, she was meant to die today. However, she had one choice, one option. What was to be her final ground? She had the choice of where she could die and it wasn’t going to be here. It wasn’t going to be in the depths of the dark forest. It would not be fatigue, or hunger, or even the evil creatures that dwelled inside that forest. She couldn’t die here. It wasn’t good enough. She ran, but again her pace slowed. What a fatal flaw that was, for now she tripped over the root of a skillful hidden tree. Her body hit the iced-over, snow-covered ground, adding even more injuries to her collection. She touched her lip; seeing her blood on her hands shocked her, stilling her. She was bleeding everywhere, but for some reason that blood was what stilled her. That was her final fatal flaw because now she stopped running. Running had calmed her and now that was gone. A dry sob broke through her lips before the tears came. They broke so quickly they burned, blinding her. She could think now. She knew to what her actions would lead. She knew she could hurt them all. But it had to be done; it was the only thing left to do. They would hate her. They wouldn’t understand. They would have told her there was another way, but there wasn’t. There just wasn’t. They wished for it to be innocent, clean, easy—but it couldn’t be. She knew there wasn’t another way. They knew there wasn’t another way. But they hoped, they prayed, but most of all, they feared. That they too were like her, that they too were only prolonging their agony. It wasn’t always like this. I promise you it wasn’t always like this. There use to be laughter and harmony, absolute and unfathomable harmony. They wanted that back. They needed that back. So she had to die today. She heard it. She heard his foot upon the snow. Lifting herself from the ground with great ease, for she no longer hurt, she turned to him, all the anger in the world directed at him. He—with handsome red eyes and blond hair—he was the reason she would die today. “I am not sure if you are the most reckless girl I have ever met or the wisest.” His soft, gentle voice rang out—his voice never much higher than a whisper. It was a deceiving voice. It was the voice of a friend, a brother, a father; it was a voice of someone who cared. “This you won’t win. Haven’t you heard? Light always wins. You scare and you terrify, but in the end light always wins. So you are the most reckless man I have ever met, for trying to do the same thing so many others have tried and failed to do,” she told him through her own tears. She looked forward, not speaking to the man behind her. There was no point wasting the few precious breaths she had left. Her tears flowed from her eyes, rolling down her cheeks like miniature waterfalls. He was the reason she would die today. “How tragic it is that you will not be alive for me to impart such a lesson upon you.” That was the last thing she heard before the darkness came. She hoped; she truly hoped she did not die today for nothing.